I’ve been thinking about those giant crosses in Chattanooga off I-75, how they provoke response on either ends of the spectrum. but the closest I get is believing I c o u l d be wrong. And all that set me wondering, how people interpret and process the same thing so differently; of course, not just three crosses, but most anything in life. Beauty, art, music–our tastes and perspectives are as individual as we are unique. And then I thought about love. I thought about HOW MONUMENTALLY DIFFERENT my husband and I speak love. One of the wisest, best, most beneficial choices we made early in marriage was the decision to read through the Five Love Languages by Gary Chapman. It was then we understood that I most often speak love in words and encouragement, and he most often speaks love by service and action. It helped me to see when he loved me even if I didn’t feel it, and hopefully visa versa. We weren’t speaking the same language at all. Had we not made this revolutionary discovery, though we loved one another, its expression would have been lost in translation, and potentially, tragically so. Though I always appreciate receiving presents, gift giving is the least way I express love. And my favorite presents? Surcies–personal and intimate, typically of little dollar value but large in significance and meaning. My next favorite type of gift is anything practical (I’m the wife who delights in, not offended by, a new kitchen appliance….). Likely a combination of the two is the main reason I detest giving money–that hardly meets my “requirement” for personal, and though you can purchase something practical, it’s not practical in and of itself. At least not to me. Maybe I’m beating this dead horse deader or overstating my obvious conclusion, but, to me and others like me, those three crosses are impractical; which is consistent with how I’m wired to give and receive love. 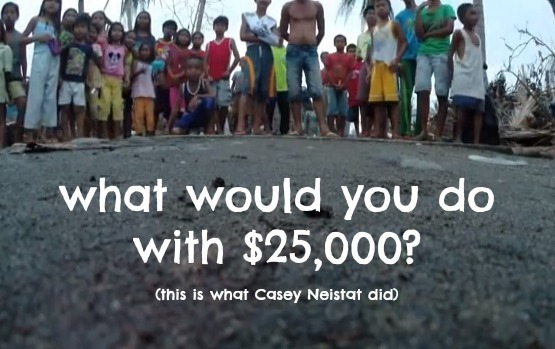 On his You Tube channel, Carey asks the question, “What would you do with $25,000?” and then shares a link to Unicef to help the children affected by typhoon Haiyan. Might you consider doing something right now to help? If not Unicef (of which I have no personal experience), if you’ve been thinking about sponsoring a child in “one of those programs”, I can vouch for Compassion International after traveling with them to Calcutta. Sponsoring children not only changes lives, it can save them…and if you can’t commit to a monthly child sponsorship, please…please consider a one-time gift. A group of bloggers will be traveling to Uganda this week with Compassion, some of them dear friends. They’ll write about the painful devastation of poverty…but I promise, you’ll see hope in each story. 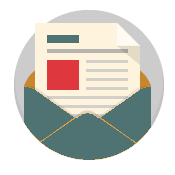 I hope you’ll read every post; and to sponsor a child in anticipation of what they’ll share? Well, YOU will be a partner in their journey! Say yes? , * (Which will only make sense if you’ve read Chapman’s Five Love Languages; and if you haven’t, here’s a link to buy a copy. If you aren’t feeling loved by your spouse, I urge you to read it. This translates to all of your relationships. I’d pick up the general edition and not the ones specified for children/teens/genders.) (p.s. 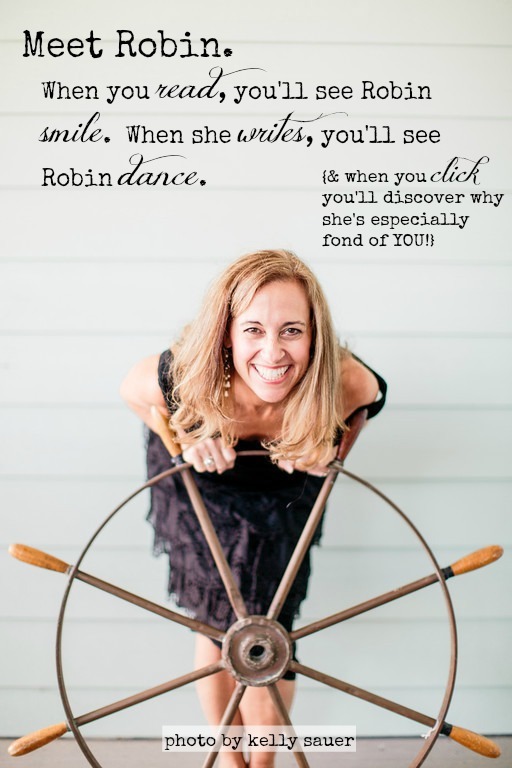 If you use my affiliate link, I’ll earn pennies on your purchase…and thank you. Win-win, yes?). Everyone speaks love in different ways. My best way is to encourage someone. I enjoy sending e-cards or baking meals, sending cards, or just calling and saying hi! I love to gift shop for others–especially at Christmas. Giving to the poor, needy, etc. excites me to no end. My hubby and I sponsor a child in Mexico via a Christian Orphanage (Ninos de Mexico). We send Christmas, birthday money so she can buy what she wants. One year she wrote us and talked about getting a pair of purple boots for her birthday and was super excited. Made me realize how much we in this country take for granted. Also with $25,000.00 I would give to Relay for Life-help end all cancer, give to local food bank, Good Samaritan Ministries-helps homeless and less fortunate, and other good charitable organizations.